Few substances create as strong of an addiction for an individual that is as difficult to get rid of as prescription drugs do, like with a Vicodin addiction. Of the different kinds of prescription drugs out there, those who get addicted to opioid prescription painkillers specifically tend to learn very quickly that such addiction struggles are very unpleasant and next to impossible to escape from. 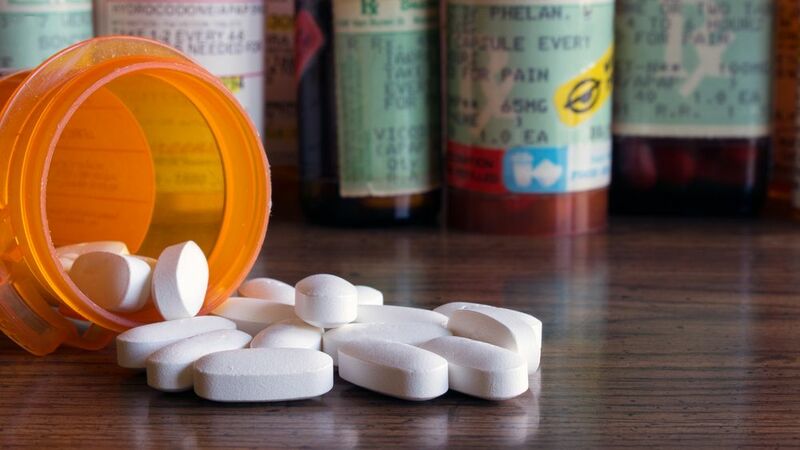 An opioid prescription pain drug is not always all that it appears to be, and individuals should be cautioned before they accept a prescription for these substances. 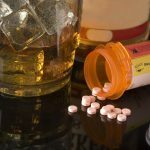 An addiction to painkillers is very difficult to obtain freedom from, and Vicodin is one of the most potent and one of the most commonly prescribed pill drugs for them all. But what is Vicodin? Vicodin is a brand name for the drug combination of acetaminophen and hydrocodone. It is prescribed as a pain reliever for mild to severe pain. The drug is incredibly widespread and prevalent and is used both in hospitals and medical facilities and as an outpatient, prescription drug too. Vicodin has risen to the top as being one of the most commonly abused drugs in this country. Not only is it one of the most commonly abused drugs within its own category of pill drugs, it is one of the most commonly abused drugs in the entire nation period. The Centers for Disease Control and Prevention wrote about Vicodin and all pain drugs for that matter, warning Americans of the rapidly increasing risks of these substances. The Centers for Disease Control and Prevention is the federal organization in charge of monitoring our health and vitality as an American people. We would do well to heed their warnings when it comes to the very real and present danger that pill drugs like these present to us. 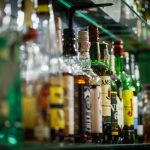 In addition to creating a strong likelihood of addiction in an individual, there are a lot of other factors to Vicodin that should be considered. For example, this drug has a whole plethora of negative side effects that people can get from taking it, and this can happen whether they have a Vicodin addiction or not. Nausea and vomiting is a common side effect of taking Vicodin. Constipation and gastrointestinal difficulties are another common side effect of taking Vicodin. Slowed breathing and respiratory difficulty can occur. Dizziness, lightheadedness, and lack of coordination often is a side effect. Impaired judgment is one of the most common side effects. Profound drowsiness and loss of consciousness is not only a side effect, it is also one of the first indicators of an overdose. These are just some of the long list of side effects that can come about as a result of taking Vicodin. Then there are also the withdrawal symptoms. These are an entirely different batch of effects. These are what occurs when an individual tries to stop taking the drug. Pain turning on throughout the body. Pain in withdrawal is usually much worse than the original pain problem that the individual was taking Vicodin for to begin with. Discomfort and restlessness, including restless leg syndrome, is another common symptom. A person experiencing withdrawal will also very often have trouble sleeping. Someone undergoing withdrawal off of Vicodin will have a chronic ache in the back and joints. Vicodin withdrawal creates nausea, vomiting, and diarrhea. A person will likely experience mood changes, irritability, or agitation while withdrawing off of Vicodin. A person going through withdrawal will usually experience problems with memory, anxiety, poor stress management, etc. The sheer physical and psychological stress connected with this drug is simply too severe for it to ever be a really good idea for individuals to take this drug unless they absolutely have to for some reason. If in any way consuming this drug can be at all avoided, then it should be because a Vicodin addiction or dependence can happen very rapidly. Reports from the Substance Abuse and Mental Health Services are no better. This organization reports on the fact that pill drugs are traded back and forth like collectible baseball cards between friends, and between doctors and their patients too. These are data facts and statistics that are coming from organizations that are sworn to protect us and to monitor our health, both physical and mental. If groups like the Centers for Disease Control and Prevention, the Trust for America’s Health, and the Substance Abuse and Mental Health Services Administration are getting incredibly concerned about the path that this country is on when it comes to drugs like Vicodin, then we should all be concerned about it. It goes without saying that the best way, by far, to address an addiction to drugs like with Vicodin addiction is with treatment solutions like inpatient drug rehabs. Inpatient drug rehabs offer a safe and an effective path that is clearly marked for recovering addicts to follow. Inpatient treatment centers offer tools for recovering addicts like detoxification, one-on-one counseling, relapse prevention, coping strategies, electives, life skills, Yoga, exercise, holistic remedies, religious approaches, 12 step recovery systems, AA, NA, SMART Recovery, Celebrate Recovery, CBT, MRT, etc.